4.9/5 out of 657 votes. Rooster Chinese Daily Horoscope for Today, Tomorrow and the Day after Tomorrow. 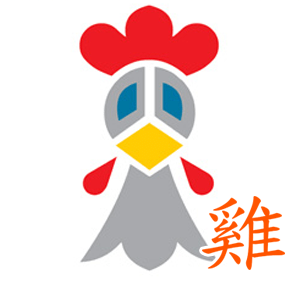 All the latest information you need about Rooster Chinese Horoscope and updated Daily. You should find that you have an extra amount of creative energy now, and you should do what you can to make this force work for you. There's a time and place for everything, and now is the time to work together with your higher self to channel some of the artist within. Don't let your self-doubt keep you from using the creative force that's brewing inside you. You might long for a vacation today, and you could toy with the idea of a journey by air. Your mind may turn to spiritual places such as India, Egypt, Israel, or Ireland as you wonder how it would feel to stand in the sacred places in those countries. Don't just toy with the idea. You're probably overdue for a vacation, and such a trip would suit your mystical nature. You may have been a bit indecisive lately when it comes to love and romance. Perhaps your mind is drawn to one person while your heart is drawn to another. Perhaps you're trying to trick your mind into seeing a certain quality in someone while you ignore parts that you don't really like. Make sure you accept people for all of who they are and not just the individual parts.